Editorial: Of all the sad tales media mines with diligence, some escape to gain free comedic life as illustrated by Curtis Killman’s story of Kathy Taylor’s ring. Mayor G.T. 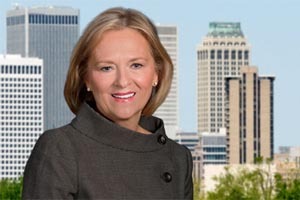 Bynum’s most significant contributor now appointed Chief of Economic Development for the City of Tulsa, Kathy (Taylor-Lobeck or Lobeck-Taylor… let’s use Taylor) a former mayor herself; lost her $4 million ring somewhere between a cooking class and croquet at a Meadowood Napa Valley resort. Cue the joke lines as we can all appreciate misplacing a $4 million anything. Killman writing for the Tulsa World reports, “An insurance dispute involving former Tulsa Mayor Kathy Taylor and a $4 million blue diamond ring that she lost while vacationing in California has landed in federal court. Taylor… is seeking an unspecified amount in excess of $75,000 in a breach-of-contract lawsuit against AIG Property Casualty Co. and an insurance broker. “In her lawsuit, Taylor says she lost the ring, a gift from her husband, Bill Lobeck, while vacationing in California around Nov. 4. 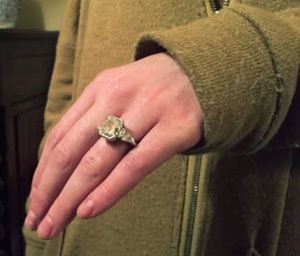 AIG paid Taylor $4 million in December for the lost ring, but she claims the insurance company won’t fully cover the loss,” Killman writes. Yes, dear reader, it is a dispute in and of excess. AIG paid Taylor the $4 million policy amount, but she asserts the policy covered appreciation which the company says they only offered as a policy add-on. Taylor specifically declined that additional coverage, but now wants profit from appreciation. 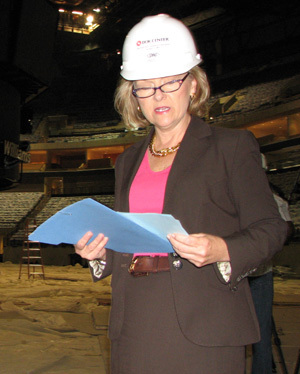 Taylor during construction of the BOK Center – no ring. According to Integro, Taylor and her husband “have made crystal clear to Integro” that, since at least 2008, they did not wish to purchase an AIG Private Collections Insurance Policy that provided increased coverage if the market value of the jewelry or other insured items had appreciated by the time of the loss. “Having received that precise amount under the 2016 AIG Private Collections Policy’s Agreed-Value Coverage, the Lobeck Taylors cannot be permitted to now cry foul and seek the windfall of the very Inflation-Guard Coverage that they so consistently rejected (and for which they did not pay),” Integro states in its response. Silly company – Leftist Democrats want their cake with profit regardless of law – that is why they become lawyers and economic development directors. They are self-lathing capitalists who trumpet causes of the masses to benefit themselves. At least when Mayor G.T. Bynum kisses up, his lips land on a ring of value. As they say in Washington, “$4 million here and $4 million there, eventually, you are talking real money” rings true for Taylor don’t ya know. The jokes write themselves and Curtis Killman should be congratulated for the story. If the Lorton Family still owned the Tulsa World, it would never have seen the printer. Now, to some degree, the daily newspaper managed by business people is interested in increasing readership – not enough to diversify ideology in their newsroom, but I digress. After one press conference, I accompanied then-mayor Taylor back down the hall towards her office (same office she sits in today thanks to Bynum) and offered that, as an active Republican, I didn’t think a Republican would challenge her if she ran for reelection. “Oh David, why do you think that,” Taylor asked. 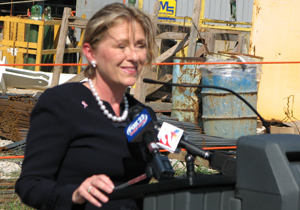 “Tulsa has never had a mayor from a three-jet family before – who would want to run against that,” I deadpanned. “It’s only mean if I write about it before I tell you,” I replied, but I did not write about that exchange then. Taylor didn’t file for reelection, but later attempted to regain the office against Mayor Dewey Bartlett. This writer in 2013 crafted an analysis of that Taylor campaign effort titled, “Totalitarian Taylor stalks Bartlett” that you can read by clicking here. That story won the “Best Earned Media Award” from a national campaign and election magazine. Taylor/Bynum said at the time they were focusing on “new to market retail establishments” which I ridiculed as ignorant, but dear reader, has their trendy retail focus improved the economy of Tulsa or has it been a rebound of the oil and gas industry? Just asking. If retail is the answer, then why is Mayor G.T. 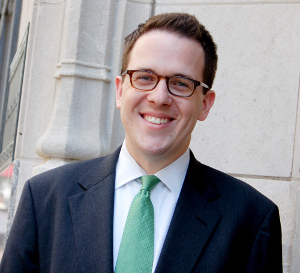 Bynum, the fifth generation trust fund baby elitist who recently gave a TedX talk in Washington D.C. titled, “Partisan Rhetoric is for Losers” the only visible official engaged in begging for the new Amazon headquarters? Where is Ms. Taylor on the Amazon HQ2 deal? Oh, that’s right, she is lost between cooking class and croquet. This entry was posted in Business, Local, Tulsa Speaks on October 22, 2017 by admin.